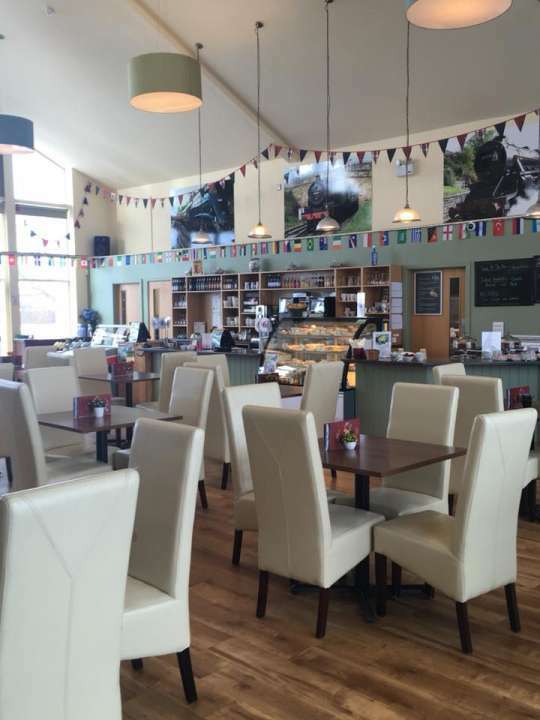 Visit our Engine Shed Restaurant in Pickering for a delicious meal in a warm and calming ambience. We have a traditional English menu ready to satisfy your palate and hungry stomach. With a friendly team of professionals waiting on you, the experience you get from this new eating place in town (or rather just out of it) will surely be one to remember. When we decided to retire our old cafe after it had given many pleasant memories to customers during the 14 years it served them, we wanted a modern place to give our customers ambience, comfort, entertainment, friendliness, helpfulness, and warmth. These are the cornerstones of the service you will get at The Engine Shed. Set adjacent to the Steam and Moorland Garden Centre, The Engine Shed offers a lot more than just food to our wonderful guests. You can visit us on a chilly afternoon or a cold evening without a worry in the world because the restaurant is kept warm with our environmentally friendly underground heating system. The Sir Nigel Gresley Lift, the only named lift in Pickering, provides convenience of accessibility to our guests with a disability. The background music and radio we play is kept to a low volume so it lingers in the background of your conversations instead of taking them over. To keep your children in their seats, we have a model railway across the ceiling of the main hall. It keeps them mesmerised. Our restaurant near Pickering has both outdoor and indoor seating arrangement, which allows us to book any number of tables for family dinners. More than that, however, we have had reservations for the whole premises for weddings, birthday parties, christenings, etc. outside of our regular service hours. You can reserve the restaurant for such a special event or book a table (or more) for a meal or afternoon tea by contacting Christine (our Front-of-House Manager). Visit us soon for a meal to remember or have a look at the great product range we stock for agricultural products and garden machinery such as lawnmowers and chainsaws.